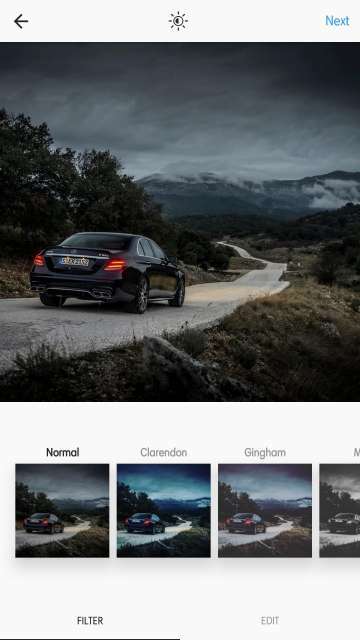 Instagram, since it’s inception has been the one-stop hub for all the photoholics out there. 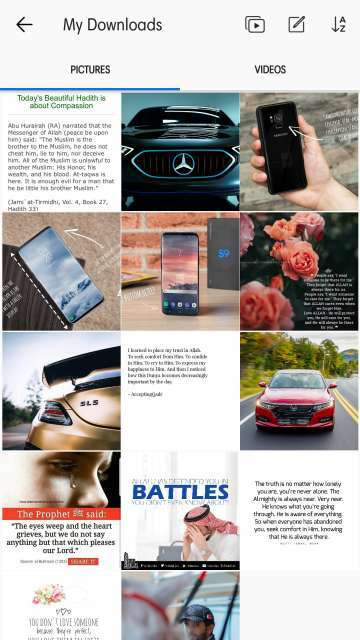 It has provided its users with an easy way to share their pics more expressively than any other photo sharing platforms. Instagram gives users the ability to share stories that allow them to display photos and videos that usually last for 24 hours. Moreover, Instagram has all the basic media sharing capabilities along with sending direct messages, starting a live video and more. However, a couple of features sorely missed by its users are the ability to download and re-post the media. I’m just wondering why the Facebook-owned Instagram is just too hesitant to add these simple and intuitive features. 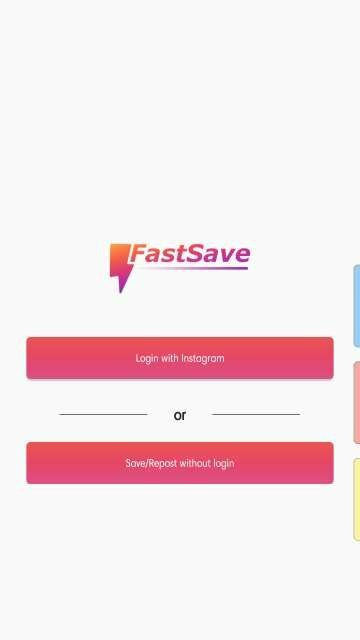 Well, until Instagram decides to implement these features, let’s take a look at an app called ‘Fast Save for Instagram’. This wonderful app allows you to download not one but multiple photos and videos at the same time. 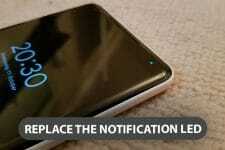 In addition to the mentioned feature, it also allows you to repost them among other features. 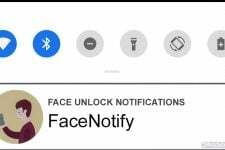 To know more, join me to take an in-depth look at the app as depicted in the screenshots below. 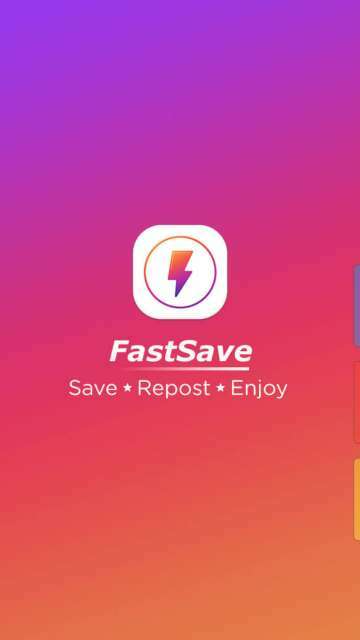 Welcome to Fast Save For Instagram. Save, repost and enjoy. 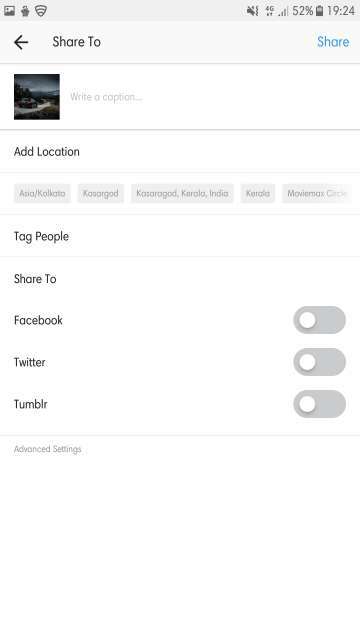 Login with your Instagram account credentials or save/repost without login. Fill in your Instagram account credentials. 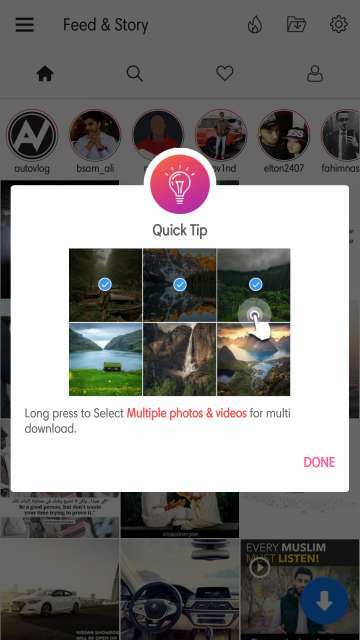 After signing in, you are shown a quick tip on how to download multiple photos and videos. 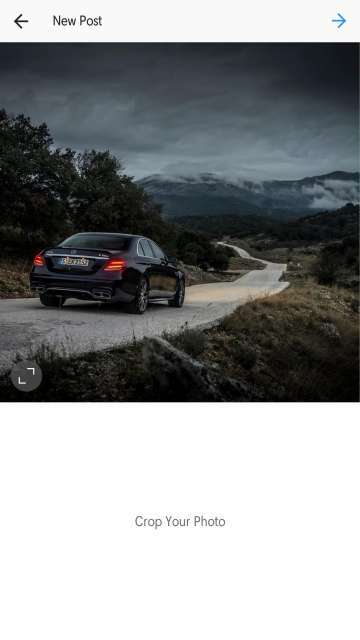 Long press to select multiple photos and videos to be able to download them. Newsfeed. 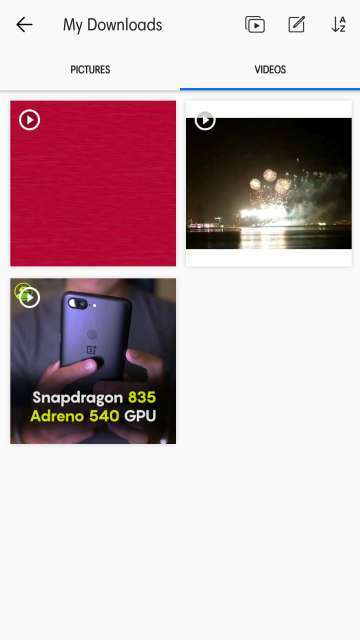 Tap and hold any photo or video to multi-select. Refer the next screenshot. Now that you have selected the ones you would want to download, tap the blue download button located at the bottom right-hand corner of the screen to download. The download has started. However, to download in the background, you will have to purchase the PRO licence. The downloaded media gets saved into the gallery in a folder called ‘FastSave’. Alternatively, you can access the download media within the app itself. To access the downloaded media, tap the second button located on the top right-hand side of the screen. Refer the next screenshot. 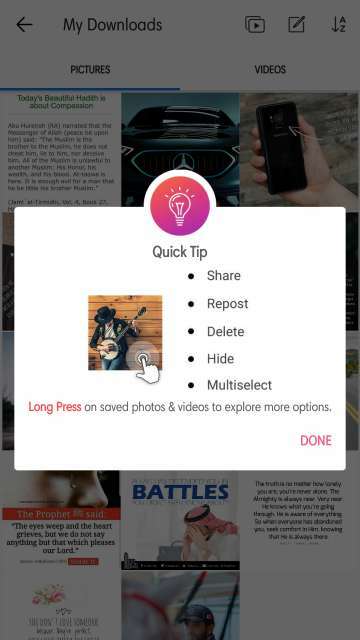 Quick tip: long press any saved photo or video to share, repost, delete, hide and multi-select. 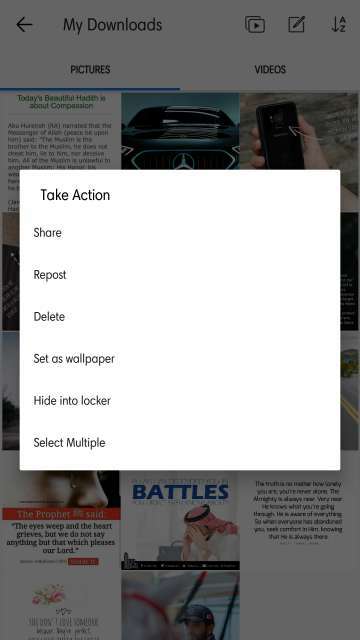 Tap and hold a saved photo or video for options. 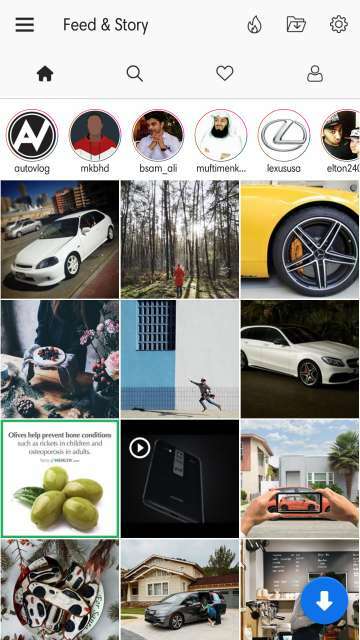 To re-post, go to any profile, view any of their photo or video and then tap the third button from the left located below the image. Note that you will be taken to the official Instagram app to post a photo as this app doesn’t have the ability to post a photo or video (I wish it had). 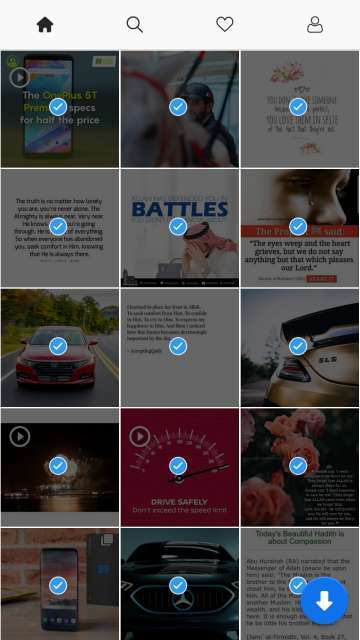 This app is used for downloading and re-posting purpose only. This is the Instagram app. Crop the photo as per your liking. Apply an effect or edit. Give the photo a caption and press the share button. 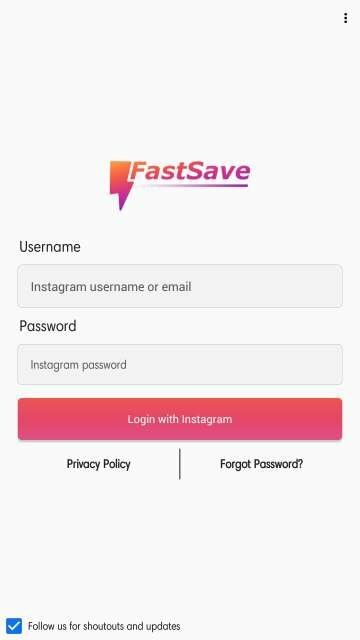 Fast Save features a simple and intuitive user interface. check it out below. Features four tabs; feed, search, liked media and your profile. Tap the three-line button to access quick tips and more. Everything is neatly presented in this app. Refer the next screenshot. You have the ability to save profile pictures too. Just go to any profile and tap their profile picture to enlarge it and then tap SAVE. See below. 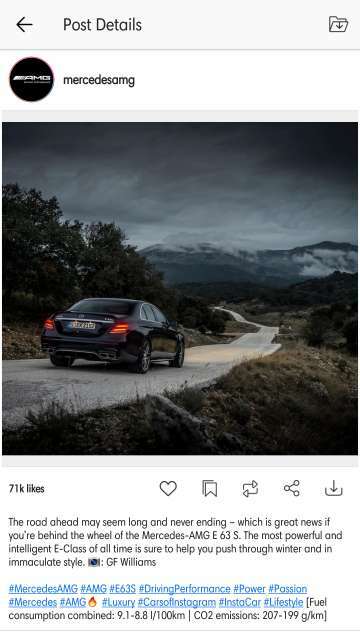 To save a profile picture, tap the profile picture and press SAVE. 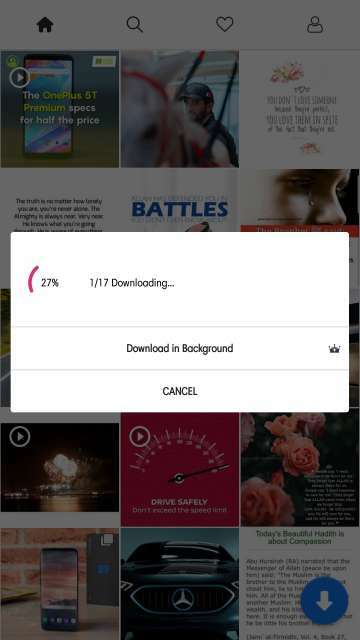 All in all, I would like to say that this is one must have an app or everyone wanting to download multiple photos and videos at the same time. 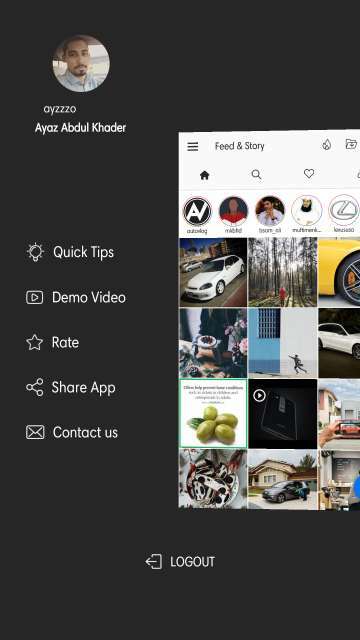 Moreover, the ability to re-post a photo or video is a great functionality which has not been implemented as of yet in the official Instagram client. 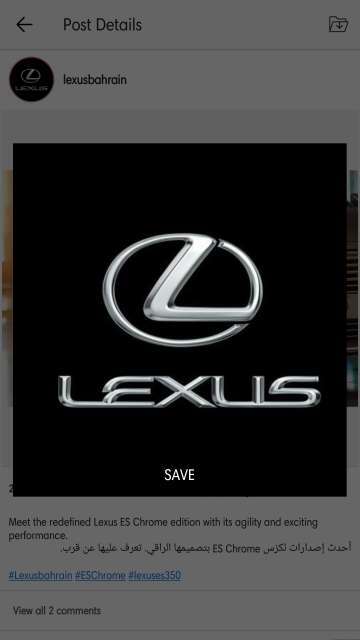 However, do note that this app features ads. If u want to get rid of ads then, purchase the PRO licence for ₹ 120 or $ 1.874 to be precise. And here you go tech enthusiasts on my in-depth look and review of a simple, intuitive and useful app. Feel free to chime in the comments section on your take and experience with this sleek app. 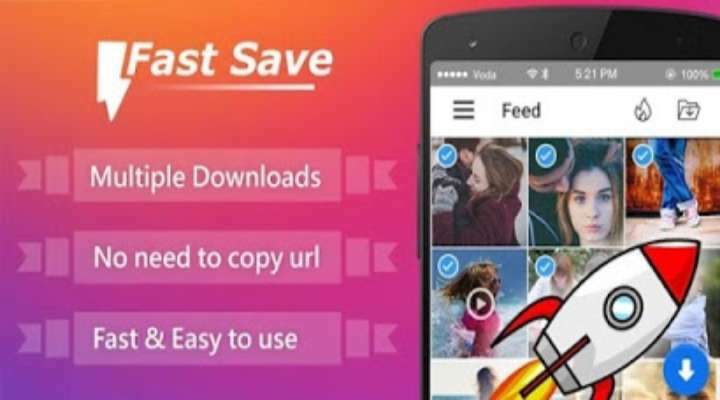 Download Fast Save For Instagram via the Google Play Store link given below.